Receptor involved in cell adhesion and probably in cell-cell interactions. Mediates cell matrix adhesion in developing neurons and hematopoietic stem cells. Receptor for collagen III/COL3A1 in the developing brain and involved in regulation of cortical development, specifically in maintenance of the pial basement membrane integrity and in cortical lamination (By similarity). Binding to the COL3A1 ligand inhibits neuronal migration and activates the RhoA pathway by coupling to GNA13 and possibly GNA12 (PubMed:22238662). Plays a role in the maintenance of hematopoietic stem cells and/or leukemia stem cells in bone marrow niche (By similarity). Plays a critical role in cancer progression by inhibiting VEGFA production threreby inhibiting angiogenesis through a signaling pathway mediated by PRKCA (PubMed:16757564, PubMed:21724588). Plays an essential role in testis development (By similarity). 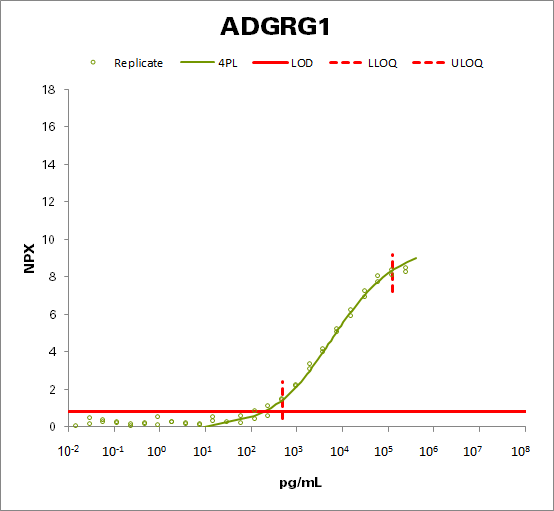 ADGRG1 N-terminal fragment: Plays a critical role in cancer progression by activating VEGFA production and angiogenesis through a signaling pathway mediated by PRKCA (PubMed:21724588).